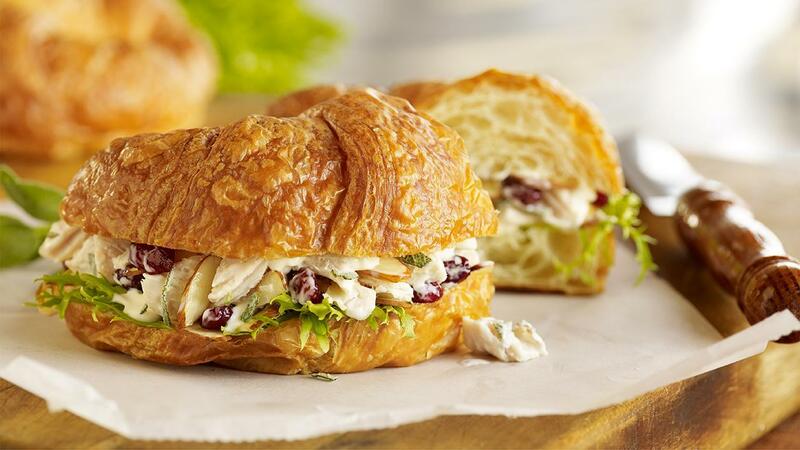 A buttery croissant topped with chicken salad. Hellmann’s Real Mayonnaise brings together the flavour of grilled chicken, grapes, celery and apples beautifully. A delicious recipe to have on your menu, try it out today! Scoop chicken salad (sub recipe below) on croissant and top with lettuce and tomato. Serve immediately.